This is really awesome. Love your coloring. wow great stamp and what a beautiful way to display it. Great sentiment as well. 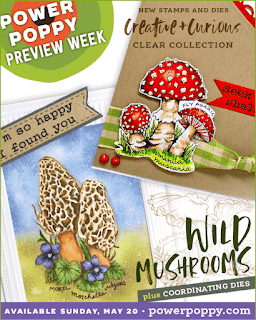 Love these new stamps but then I love all Poppy Power Stamps. 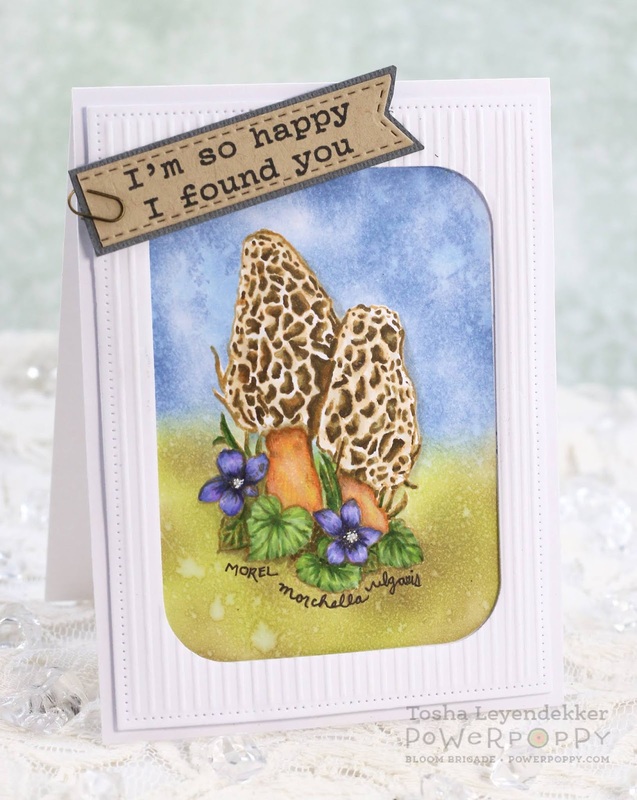 Hahahaha, I love your explanation for using the mushrooms on a card for your husband. My husband and I are like that with each other also! You've got such wonderful depth and dimension with this image, fabulous job! Squee! You chose my favorite! And you colored them fabulously!! hee hee you anrey... nah. :-) He is going to love it. Great coloring and very pretty. He doesn't have to eat these so I am pretty sure it will be fine. HA! 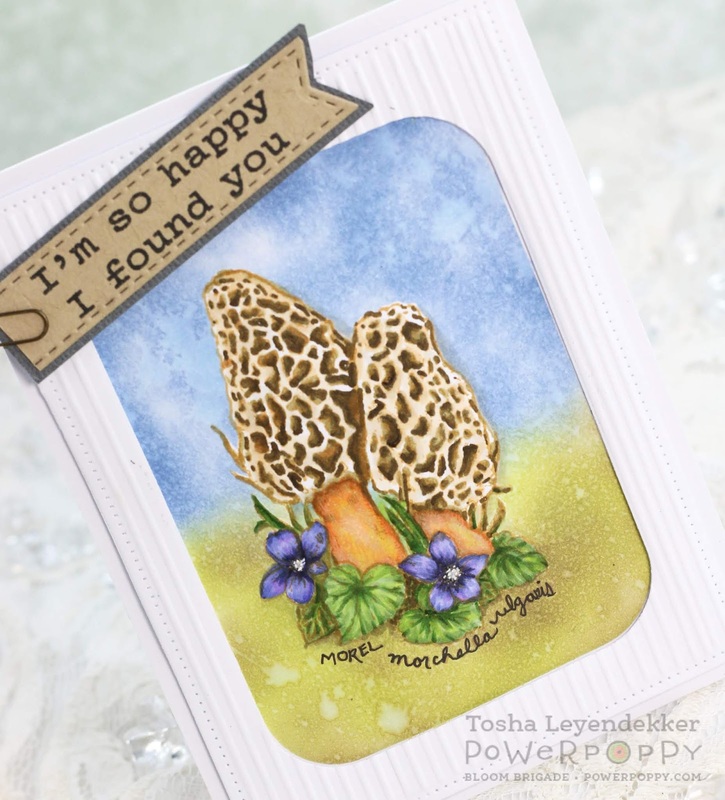 Your Morels look almost good enough to eat! Love the sky you created behind them! Fabulous card Tosh!